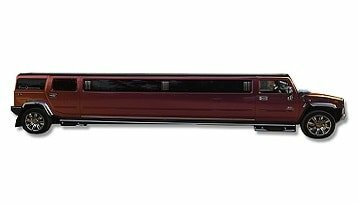 The ultimate Black Beauty – The stretch Hummer is the most sought limo for Bucks and hens night parties, a fun night out with you family and friends, Hummer Wedding Cars Melbourne, Deb Balls and School Formals, or why not celebrate your birthday in the Mighty Hummer Limo. 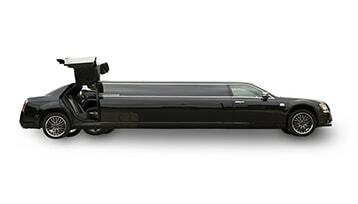 Arrive in style at your next elite red carpet event in the amazing Mercedes Benz stretch limo. The Ella really defines luxury, panache and glamour. Her elegance will surely impress your any of your clients and all audiences whilst acquainting them with your impeccable taste. Feel like a Star, when you travel in the Chrysler 300c stretch limousine and explore the sights and sceneries of urban Melbourne. Ideal for Bucks or Hens Parties, Wedding car hire and formal occasions, this vehicle ensures a Red Carpet experience like no other. The brand new, World exclusive Maserati Quattroporte Stretch Limo is here, and available only at RSV Limo Hire Melbourne. We at RSV Limo have done something that no one else has been bold enough to do… We created the brand new Maserati ‘Cinqueporte’ (five door) Limousine. We have spared no expense in creating the only current shaped Maserati Stretch Limousine available for hire worldwide. This one is the ultimate vehicle when it comes to luxury transport! RSV Limo’s exclusive flagship vehicle, the Maserati limo, is the pride and joy of an amazing fleet of prestige limousines and it will only take a glance to see why. 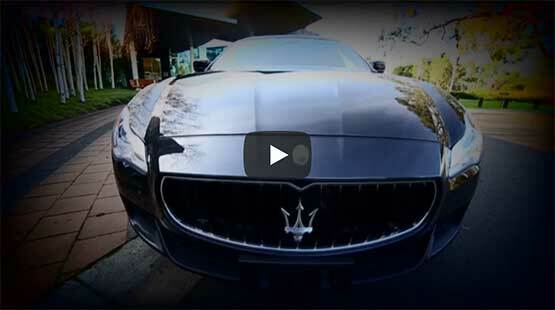 This stunning machine was created from the latest model Maserati Quattroporte Supercar. The Quattroporte is a car admired by motorcar enthusiasts the world over, that is why we have worked tirelessly to ensure that our Cinqueporte maintains all its sleek and stylish characteristics. A massive 11 passenger capacity in the rear compartment. Astounding LED/Strobe lighting options which enable you to go from Subtle to Party at the touch of a button. A custom built fifth ‘Jet’ door opening skywards. This limousine is perfect for every occasion from the biggest of all, your wedding, to a Birthday celebration, Hen’s night, School Formal/Deb or even just a night on the town. This one-of-a-kind limousine is brought to life with an incredibly powerful twin turbocharged V6 engine, and sounds like an absolute beast. Outside, she is adorned with a set of massive 20” Alloy wheels which will ensure you travel in style. And inside you will ride on the finest Italian Cuoio Leather enjoying all the creature comforts that you would expect from the finest limo money can buy. The QuattroPorte was engineered for those who enjoy prestige and power and it is guaranteed to deliver. RSV Limousine & Hummer Hire Melbourne offers a fleet of high quality limousines and hummer limousines available for your special day. Our Limousines range from sedans, stretches and hummer limousines. From our 1955 Chevrolet Belair Convertible, 1957 Chevrolet Stretch Limousine, our 300C chrysler stretch limousine right through to our 16 seater Black Stretch Hummer. Landing at Melbourne Airport and in need of a prompt, professional limousine service? At RSV Limousines Melbourne, we provide you with on time service pick up and drop off to your destination. From our mercedes Benz sedan limousine, through to our chrysler limousine. RSV Limousines Melbourne have a fleet of limousines available for any type of transfer from or to Melbourne Airport. You have just finished your examinations and are preparing for your School Formal or Debutante. What better way to rock up at the event in a stretch hummer limousine, or perhaps a stretch mercedes. At RSV Limo Hire Melbourne we have the right limousine for your special evening. 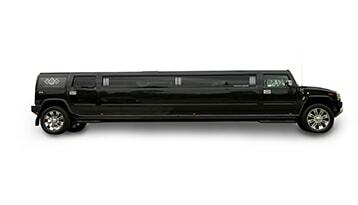 Why not get a group together and opt for the 16 seater stretch hummer?. Celebrating a bux party or hens party and looking for the perfect limousine to hire for the event. At RSV Limo Hire Melbourne we have the right limousine to suit your party or event no matter where you are located in Melbourne. 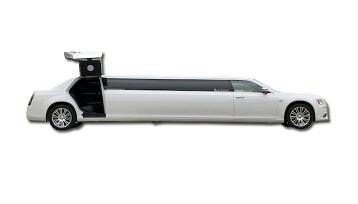 Celebrating a birthday party and looking for the perfect limousine to hire for the event. At RSV Limo Hire Melbourne we have the right limousine to suit your party or event no matter where you are located in Melbourne. RSV Limousines Melbourne offer a range of limousine transfers to Crown Casino. With our fleet of limousines available for hire in Melbourne, RSV Limousines can pickup and drop you from your hotel to the casino. Don’t mess about by driving to the vineyards of the Yarra Valley or Mornington Peninsula. Let RSV Limo and Winery Tours take you on your next Victorian Winery Tour. Gather a small group of friends together and think chic Melbourne dining. There are also plenty of cheap and cheerful flavours to savour. Why not be picked up by RSV? Occasionally, a family wishes to honour their loved one by hiring a particular vehicle the deceased liked. This helps keep the family members close for the day. When you need a special vehicle to mark a special and rare occasion in your life or the life of a loved one, what could make a better style statement than a lavish limousine! If you want the best service in the country for your professional or personal requirements, then look no further than RSV. RSV Limo is both an Australian owned and operated company, meaning that everything is done locally and we have a complete understanding regarding the workings of the Australian Limo industry, which allows us to provide our clients like you with an ideal service of excellent value time and time again. Our fleet is comprised of both classy sedans and stretch limousines, which allows our clients to choose between all of the options we offer to get the limo that is perfect for them and their unique occasion, as well as ensuring that the limo they reserve is one that matches their particular tastes. RSV is the premier wedding car hire company in Melbourne. At RSV Limo, we have been collecting premium quality cars and providing the most professional, high quality chauffeur service throughout Victoria for the best part of three decades. Hiring a car can sometimes be a daunting task, but with RSV, we make it as easy as can be with our online quotes page. Rather that fighting with a confusing and vague prices page and not understanding what your options are or what you are ordering, we make things simple for you by providing you with a quote for exactly what you are interested in. This way, you know exactly what you are going to have to pay and exactly what you are going to receive on the day of your big, special event. 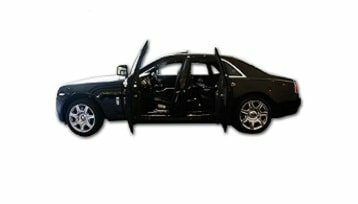 You can hire out the vehicle of your dreams or simply just request a quote effortlessly by simply filling out our online booking form to find out our limo hire in Melbourne prices, and we will take care of the rest for you. Then, all you will need to do is purchase the quote we offer if you like it, and sit back and relax as you wait for the big occasion to arrive and allow us to be your transportation of choice on the day of your big event. At RSV Limo Hire & Wedding Cars Melbourne, we offer a huge range of premium luxury sedans, both classic and prestige vintage cars. This gives our clients a seemingly endless array of choices to decide between when it comes to making their decision of which limousine hire is right for them on the day of their special occasion. Everything from the prized party limousine, the Mighty ‘GODFATHER’ Stretch Hummer Limo and the 14 Passenger stretch SUV Limo, to our original and classic cars like the ‘Pearl’ 1957 Chevrolet sedan, the ‘Princess’ 1957 Chevrolet stretch Limo, and ‘La Signorina’ The 1955 Chevrolet Bel Air Convertible Wedding car. With this wide range of selection, it makes it easy for you to choose something that exactly matches the tone of your event and your vision for the vehicle that best suits your preferences. We encourage you to take your time when reviewing our wedding cars, so you can make sure to get the absolute best fit for your needs. It can be a big decision if you are looking for wedding car hire, or a limousine for any other big event in your life. The car that you choose to hire for this event will undoubtedly show up in all of the pictures, so you want to make sure it is one that lends well to the type of event you are going to be attending, and that it is a car you are sure you can be proud to arrive in. When you make your grand entrance on your big day, you want to be turning heads and impressing people with the vehicle you arrive in, don’t you? Well, with the selection of cars and limousines we have to offer at RSV limo, accomplishing this is easier than ever before. After you have made the selection that is best for you and you are ready to book, visit our quote page for an easy quote request form. This will allow you to get the price of the selection you have made so you can purchase it and reserve your booking. Otherwise, you can simply call us on 1300 778 546 (1300 RSV LIMO). There are so many occasions that call for a luxury vehicle or a limousine hire to mark how special and unique the event is in a person’s life. Such events include weddings, as well as the Bucks nights and Hens parties that precede them, graduation nights, debutante balls, school formals, corporate meetings, business conferences, winery tours or local sightseeing. All of these events are fun events that warrant limousine hire or luxury car hire to make the event even more fun and allow guests to arrive in style. RSV Event Hire is always a great way to make the perfect first impression. We know you want to arrive in style for your wedding, or maybe on your way to a debutante ball or any other formal occasion. That is why you seek our first class service and enjoy a perfect blend of luxury, style and comfort, which only RSV Wedding cars can provide. Upon your arrival to your special event, you will surely turn some heads if you arrive in the style and luxury offered by any of our vehicles available for hire. Even more than that, the convenience our service offers is unparalleled by any other transportation service in Australia. There is no need to fear that you won’t arrive to your event on time, or trying to figure out the directions, where to park, or any other inconvenience that could mar the beauty of your special event. Our service is also sought proactively by top-notch companies and business houses for the purpose of airport transfers and pick up and drop-off service. Could there be a better way to treat and impress your clients than by sending a classy limousine to cater to their travel requirements? If they get off of the airplane and find that a luxurious and stylish car is waiting to take them to their destination with the highest amount of glamour and convenience, they are sure to be blown out of the water by your level of care that you are giving to them. Our vehicles at RSV Limo are all designed to bring you comfort, style and convenience in the easiest manner possible, all for a great value. We want to make sure our clients are completely amazed and impressed by the vehicle they find waiting for them when the day finally arrives of their special event, which is why we always go the extra mile to bring them a service of great quality and value. Even more than only the quality of our vehicles, we also make sure to bring our clients the best service Australia has to offer. 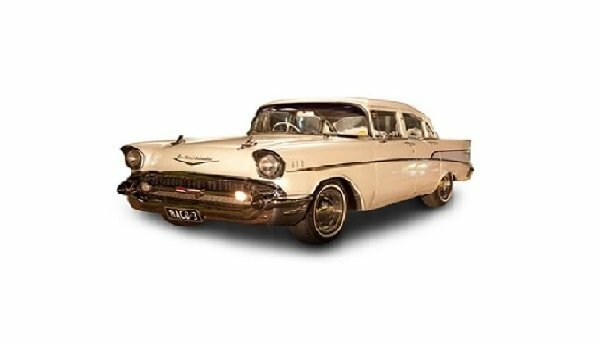 Getting a quote for wedding car hire in Melbourne prices has never been easier, which also goes for any other luxury car or transportation service you are looking for. If you are looking to hire a wedding car, a limo, or any other luxury vehicle for a special event, then let us at RSV make the entire experience hassle-free for you, so you don’t need to worry about a single thing. We will make sure you arrive on time, in style, without having to worry about directions, parking, or any of the order inconveniences or nuances of arranging the details of a big event on your own. Let us take care of all of those bits for you, so all that you will need to worry about is what you are going to wear. You’ll be able to focus on enjoying yourself and having a good time, instead of wondering where you are going to park or how you are going to get home, because you know RSV limo or luxury car hire is there to take care of all of those things for you whenever you are ready. At RSV, we take pride in our fleet of limousines and corporate cars. Most importantly RSV Limousines offer a HUGE range of high quality, reliable and on-time limousine services at very competitive prices. When you travel in any of our limousines you can rest assure that you will receive exceptional service and the best value for your hard earned money. Our customers are number one priority! Get the service you deserve with RSV Limo Hire Melbourne.